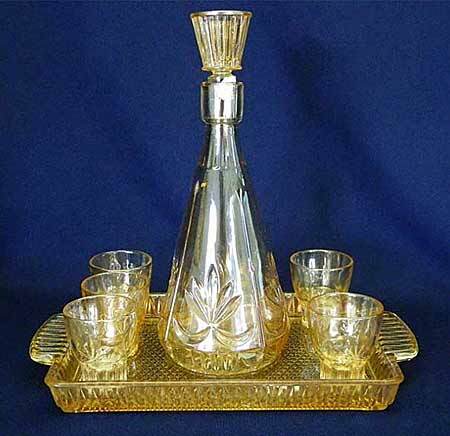 I have absolutely no information about this marigold wine or cordial set or it's maker, This set sold in 2013 for $160. A similar set sold in 2014 for $195. I suspect it's contemporary or at least from the depression era. Photo courtesy of Seeck Auctions.